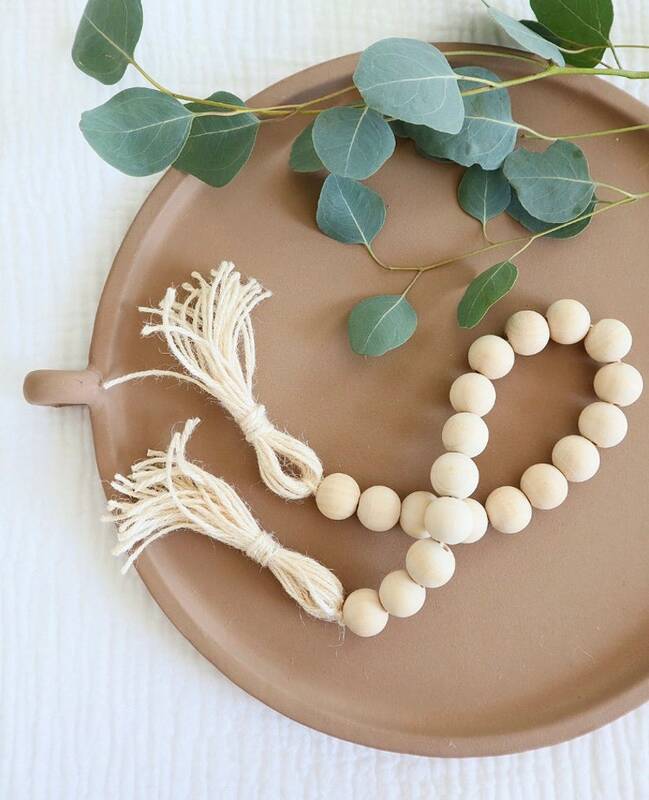 Wood Bead Garland with Cream Jute Tassel. Perfect for styling on shelfs, on top of books, for a tablescape, on a mantle, on a tray, etc. Made with raw wooden beads and jute tassels. Love this garland! Shipped quickly and it looks beautiful! Perfect on my console table! These beads were the perfect addition to my entryway decor! Well made and the seller was so helpful with sizing. I would definitely purchase again! These beads are gorgeous and sooo affordable. I goofed on my shopping address and she was so kind to make sure to send me the beads back again as they were returned to her by the postal service. She was so sweet through the whole issue.